Hello friends! Welcome back to my blog. 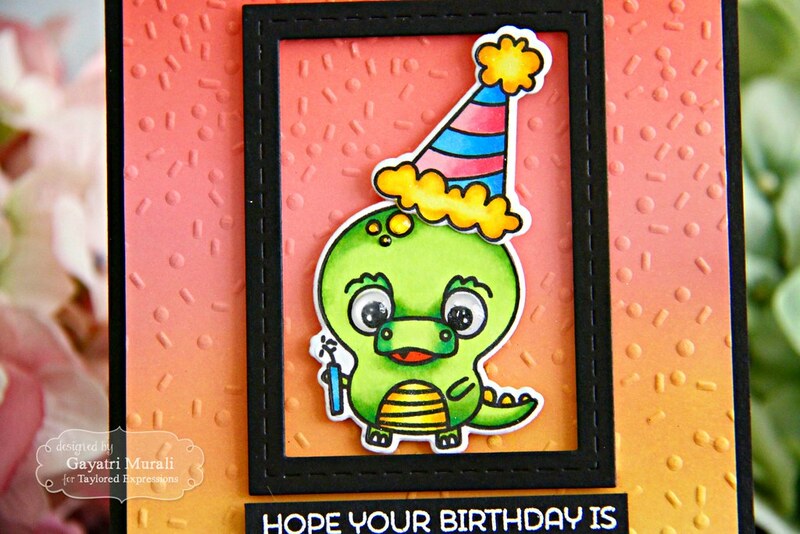 Today I have a fun birthday card using Taylored Expressions products. 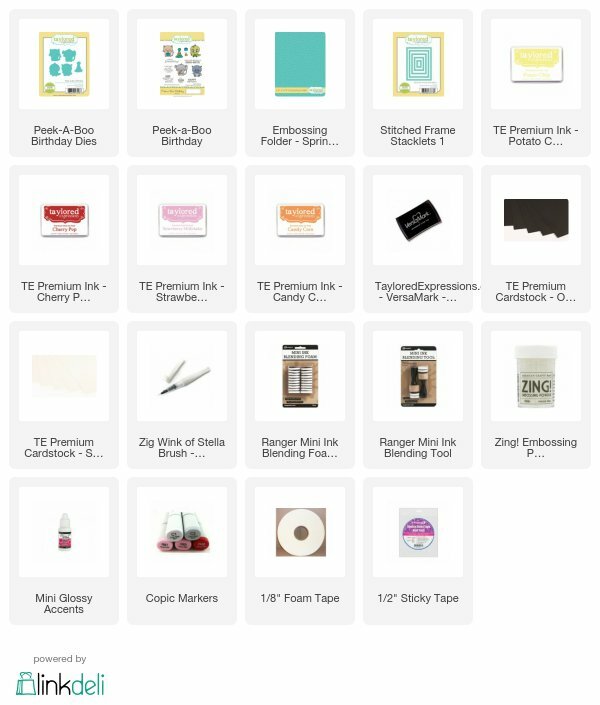 All the products I have used to make this card will be listed below the post. 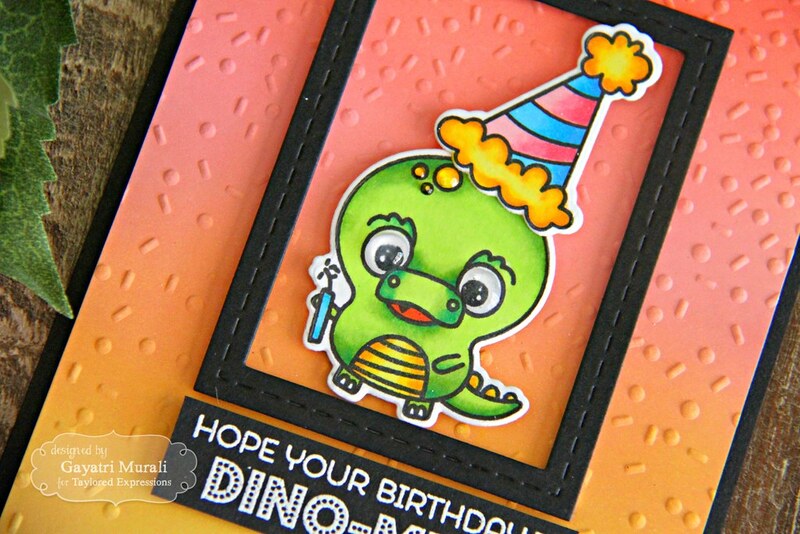 I adore this cute looking dinosaur image from Peek A Boo Birthday stamp set. I stamped the image and the hat, coloured using copic markers and die cut them using the coordinating dies. I glued the hat to the dinosaur image. I white heat embossed the sentiment from the stamp set on Oreo piece of cardstock and trimmed. On the Sugar Cube panel, I sponged Potato Chips, Candy Corn, Strawberry Milkshake and Cherry Pop TE dye inks. This takes a bit of elbow grease and few layers to going over to get a good blend. So I took my time to get the blending done. 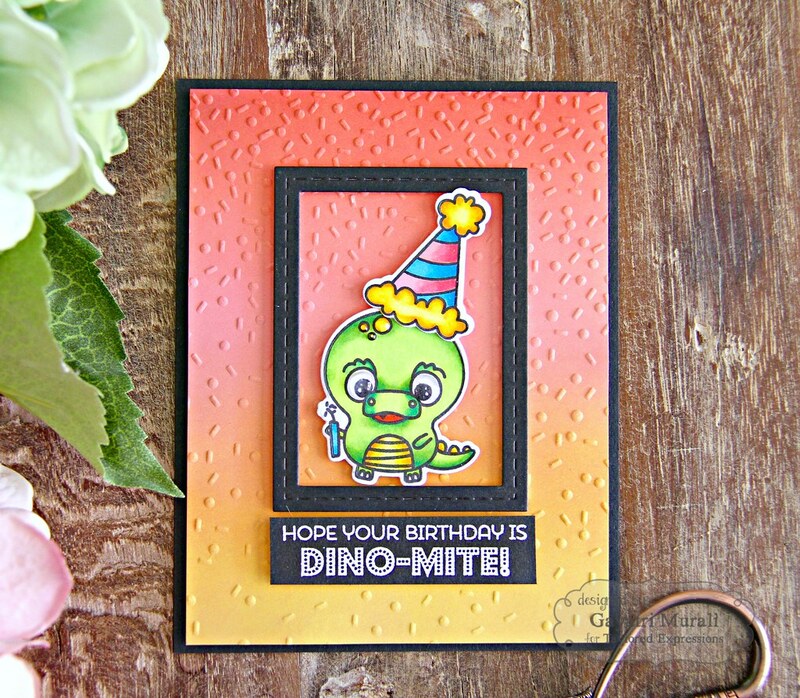 I trimmed the panel to 4″x5.25″ in size and embossed using Sprinkles TE embossing folder. This panel is adhered on the Oreo card base. I also die cut a black frame using Oreo cardstock and the third die from Stitched Frame Stacklets 1. I adhered this frame to the top centre of the card front using foam adhesive. The dinosaur image is adhered to the centre of the frame using foam adhesives. The sentiment is adhered below the frame using foam adhesives. 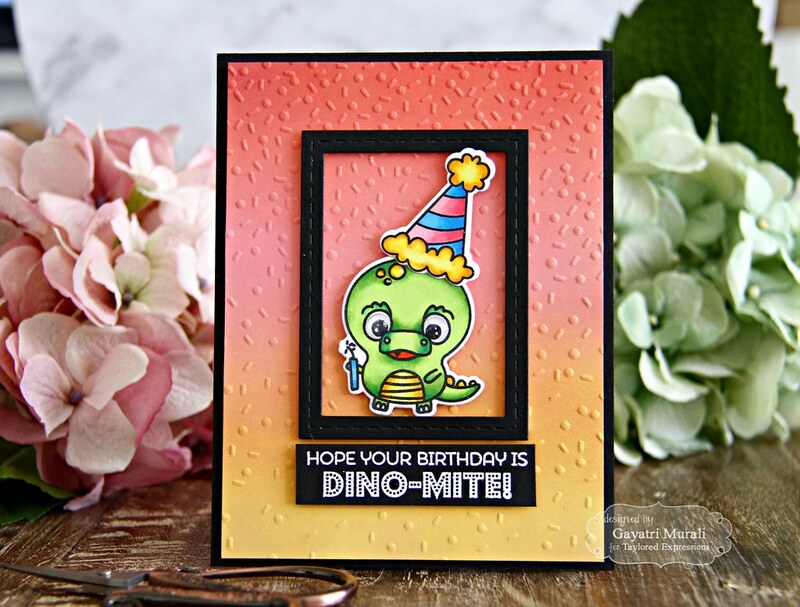 To finish off the card, I added clear shimmer to the hat and glossy accents to the eyes and the three dots on the head of the dinosaur. How adorable is that dinosaur? I am so happy this card turned out exactly how I pictured in mind. Love the colours on the background. I wanted a sunset background with the dinosaur popping out. Love the contrast from the black card base and frame. Hope you like my cutsy birthday card today.